Featuring a simple, contemporary design enhanced with distinctive style, the Broderick Dining Table from Sunpan is the ideal centerpiece for nearly any updated dining room. 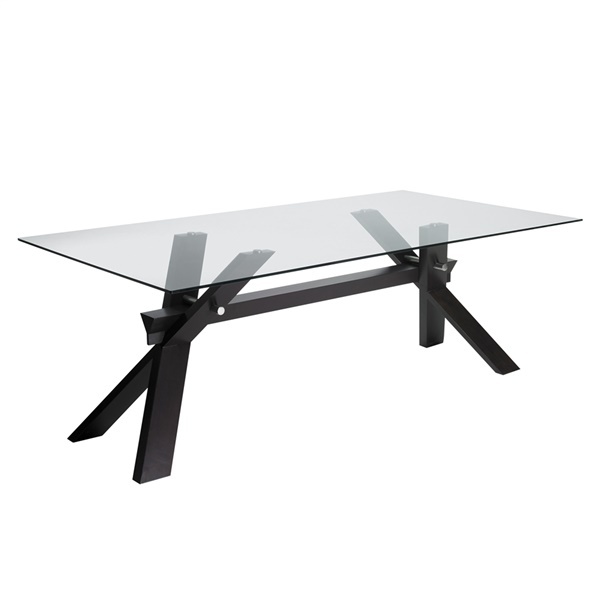 One of Sunpan's best sellers, this modern dining table is defined by its sculptural X-shaped base designed to deliver both style and stability. A classic glass table top creates a light, airy look and is easy to clean for added convenience.